If your results are low, consider repeating the test every five years or whenever there is a significant change in the home’s foundation, heating system or air tightness from weatherization efforts. What if the test result is above the EPA level? If radon is present above the recommended ceiling (4.0 pCiL/Pico Curies per liter), a confirmatory test should be conducted. If you want to know the radon concentration in other areas of your home, conduct the desired number of tests at the same time. When high results are confirmed, experts recommend consulting a radon professional for mitigation system installation. 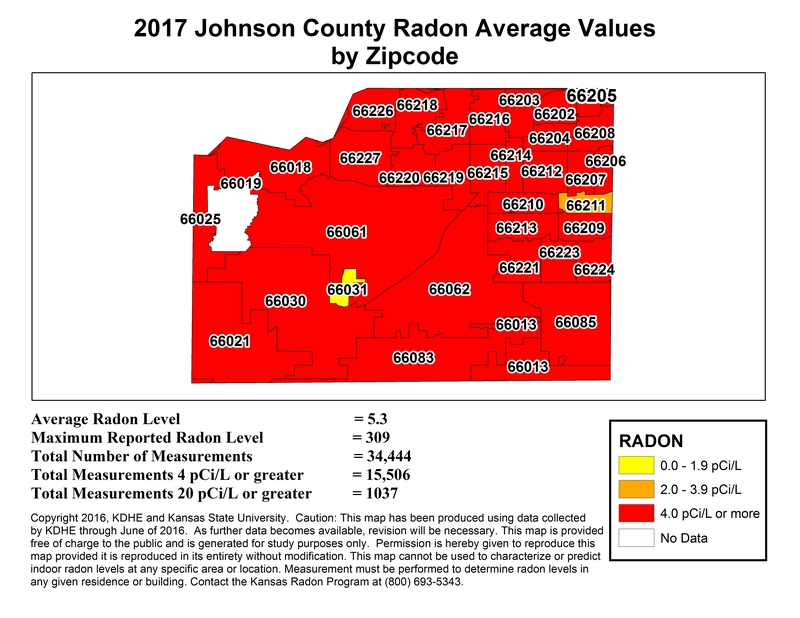 Purchase your radon kits at our Extension office,11811 S. Sunset Drive, Suite 1500, Olathe Map to office. Office Hours: Monday - Friday, from 8:30 a.m. - 5pm. Address: 11811 S. Sunset Drive, Suite 1500, Olathe Map to office. from 8:30 a.m. - 5pm.